The Suicide Squad is a group of mostly C level DC Comics villains assembled Dirty Dozen style to do covert missions that the government doesn’t want to run to the Justice League for. The hook for the members is that if they succeed they get some time off their jail sentences. Of course if they fail or try to escape they get killed. The Squad is assembled and dispatched by shady government operative Amanda Waller, who always has some ulterior motive beyond just ‘sending some bad guys to do some good.’ In the film version the Squad is sent out to stop a rogue metahuman (superpowered) operative of Waller’s who has gone rogue and wants to (of course) take over the world. 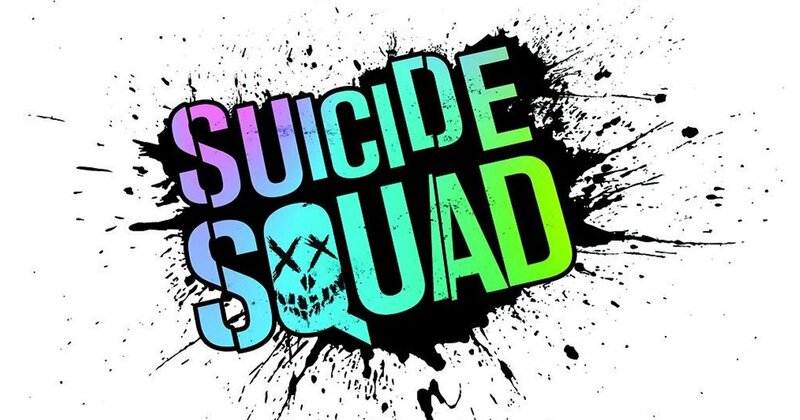 Suicide Squad is the third entry in the DC film universe. After Batman vs Superman did not do what WB needed either at the box office or with fans and critics, a rebound of sorts was needed here. Did they get it? The cast – They picked the right people here. Will Smith, Margot Robbie, and Viola Davis are all excellent in their roles as Deadshot, Harley Quinn, and Amanda Waller. Jai Courtney also gets in some good work as Captain Boomerang as does Jay Hernandez as Diablo, the tragic figure of the group. In the limited amount of time she got Karen Fukuhara was pretty good as Katana. The movie was very much a cast and character driven affair and they pulled it off very well. The guest stars – One of the big questions going in was just how much of Jared Leto’s Joker were we going to get. It was a little more than I expected but it turned out to be just the right amount for me. I was skeptical of how Leto was going to do in the role but I like what we got here. It’s a different take on the character than either Heath Ledger’s or Jack Nicholson’s but it was one that had me ready to see him take on the Dark Knight in a future film. Speaking of Bats, his time spent on screen here mostly in the initial capture of some Squad members was good. As much as I want to see the other Justice League members get fleshed out I am very ready for the Batman solo flick that’s coming. The main emphasis – I said earlier that this was a cast/character centric movie; to me that’s what makes it work. The big names put all of themselves into their respective roles and carried every part of the movie. While a lot of people have equated the film to Guardians of the Galaxy I see it more like Ocean’s Eleven in that you had a nominal mission (both of which are ridiculously convoluted in their description and resolution) and antagonist but the movie was mostly some really good actors and actresses doing their thing to breath life into their characters and interact with one another to push the story along. These are characters that most casual fans don’t know much, if anything about, so focusing on them first and foremost was the right choice to me. Not enough action for everyone – Deadshot and Harley got plenty of work in, as did El Diablo when he the turning point came for him to do so. But the rest of the crew – particularly Katana, Croc, and Captain Boomerang – did not. Arrow had a great scene with Boomerang using his weapon of choice to do some major damage; we could have used one of those here. Katana got a few whacks in with her sword but more would have been better. And Croc didn’t really get down on anybody like that. Obviously since they were the backbenchers of the crew this time there wasn’t a whole lot of space for them but one showcase scene for each would have been good. Katana’s backstory (or lack thereof) – Other than her husband’s murder and her hunting down of his killers, we didn’t get a whole lot here. How did she get on Flag’s list of trusted allies? Other than a throwaway line ‘this is Katana and she has my back’ from him we got nothing. For someone with as much breakout potential as Katana has, they should have done more to introduce and flesh out her character. Joker and Harley’s relationship – There was a fundamental change in the appearance of Joker and Harley’s relationship in the film. Before now, there’s never been any expression of real devotion from Joker towards Harley – he turned her, he uses her, he abuses her, and when she’s not around for whatever reason he gets along just fine. Here they made it much more of a two way street. In the comics or in previous animated work Joker never showed any inclination to go as far as he did to spring her from prison or any other captivity as he did in the movie. Some people I follow on twitter had a real problem with that. I didn’t. Harley is becoming a major breakout character and with that, sometimes things change. Making their relationship look more equal (although it’s nowhere close to being truly equal even in the film) is possibly a bit of preemptive image rehab as the broader public starts to get more interested in the character. In the present day comics she and Joker aren’t even together anymore so you’re not really losing too much by changing the dynamic to one that benefits your newly popular character a bit. Marvel went with Scott Lang instead of Hank Pym as Ant-Man (even though Pym was in the film and re purposed as the previous wearer of the suit and mentor to Lang), and a lot of people thought that Pym’s print history of having abused Janet Van Dyne necessitated going with Lang instead. And let’s be real are you really that much of a stickler for original source fealty that you need it to be exactly the same as it had been before? Of course not. As fans we all pick and choose when we care about such things and when we don’t, and we aren’t the least bit consistent about it. So if you want to go on a rant about it, fine, but I’m not riding that train with you. The villain – The Enchantress has been lamented as a straw woman villain; I don’t disagree per se but this is another thing that I’m fine with. The movie was about Waller and the members of the Squad. The villain wasn’t advertised much to begin with. This isn’t anything new really; lots of these movies have a nominal villain that’s only there because hey, the protagonists gotta fight somebody. As far as the real antagonist I’ve heard Waller’s name thrown around a lot and that’s good enough for me. In a lot of the Suicide Squad comic stories she’s the object of the Squad members vitriol as much if not more than whoever they’re up against. She’s the one who truly makes their lives miserable, after all. Movie wasn’t perfect but I enjoyed it a lot. It was good to see Will Smith do his Will Smith thing again and stop trying to be an Oscar winner. The rest of the cast was great and there was enough humor and action to keep it moving. The tone was darker than the Marvel stuff but had more light moments that the other films DC has offered so far. If you were interested in seeing it by all means go see it. If you just want to hit a movie this weekend and can’t decide on something, give it a shot.